In a recent paper published in BMC Genomics, Behura and Sarro et al. (2016) report on the use of FAIRE-seq, formaldehyde-assisted isolation of regulatory elements paired with DNA sequencing, for high-throughput global identification of potential regulatory elements in the human disease vector mosquito Aedes aegypti. Aedes aegypti is closely associated with humans in their urban settings and is known to transmit viruses that cause dengue, yellow fever, chikungunya, and most recently Zika. Identification of cis-regulatory elements (CREs), short sequences lying within vast stretches of intergenic DNA, is a challenging task, even in genetic model organisms. Although computational approaches have resulted in identification of a number of mosquito CREs (Sieglaff et al., 2009; Kazemian et al., 2014), CREs are unknown for the majority of mosquito genes. This has made it difficult to manipulate mosquito gene expression in a spatial and temporal manner, dissect gene regulatory networks, and interpret genetic variation that resides in non-coding regions. 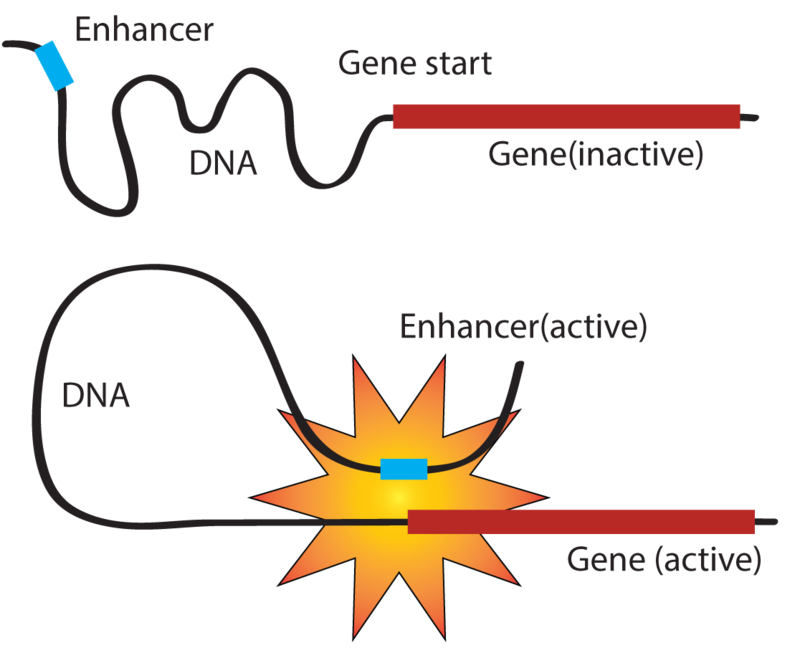 The FAIRE technique, first demonstrated in yeast (Nagy et al., 2003), exploits the ability of formaldehyde exposure to form crosslinks between interacting nucleosomal histones and DNA, allowing for the recovery of open chromatin DNA, an evolutionarily conserved indicator of regulatory activity. FAIRE was later paired with next generation sequencing for analysis of human cells and tissues (Gaulton et al., 2010; Song et al., 2011). The extension of this technique to Aedes aegypti is the first report on use of FAIRE-seq in a non-model insect. FAIRE-seq protocols for human (Simon et al., 2012) and Drosophila melanogaster tissues (McKay et al., 2013) were adapted for use in A. aegypti and could easily be applied to other organisms. A. aegypti FAIRE DNA sequences were analyzed by the application of a bioinformatics pipeline commonly used to uncover peaks in ChiP-Seq data analysis, using a number of open source programs to trim residual sequencing adapters, align sequences to the A. aegypti genome, and ultimately pinpoint peaks associated with areas of open chromatin. Subsequent computational analysis revealed locations of >121,000 FAIRE peaks (FPs) with respect to known genes. Many of these FPs were found to be located within 1 kb upstream of genes known to be expressed during the A. aegypti developmental stage at which FAIRE DNA was prepared. FPs also mapped to 5’ and 3’ UTRs, introns, and were found to be associated with non-coding genes. As a proof of concept, a subset of the FP sequences were tested for their ability to regulate gene expression in transgenic Drosophila reporter assays, and all of the elements tested to date were confirmed to drive gene expression. The authors also determined that over one-quarter of single nucleotide polymorphisms identified in dengue virus (DENV) susceptible and refractory mosquito strains are associated with FPs, suggesting that genetic variation in regulatory sequences may contribute to the susceptibility/refractoriness of A. aegypti strains to DENV infection. The results from this study suggest that FAIRE-seq is a powerful tool for identification of regulatory regions in the genomes of non-model or emerging model organisms. Genome-wide discovery of CREs can significantly enhance the way researchers approach science by providing them with a tool kit of potential gene drivers for manipulation of gene expression and the ability to assess gene regulatory networks. This technique, which also permits evaluation of genome-wide nucleosome distribution patterns, may also prove to be useful for epigenetic analyses in non-model organisms. The Scheel laboratory is presently conducting a screen for FP regulatory elements that promote gene expression in cells and tissues of interest. Researchers are encouraged to contact Molly Duman-Scheel if they have suggestions that would benefit the research community or interest in testing putative FP regulatory elements that reside adjacent to genes of interest. A. aegypti FAIRE data can be visualized in the Vectorbase genome browser at this link. Behura, S. K., Sarro, J., Li, P., Mysore, K., Severson, D.W., Emrich, S.J. and Duman-Scheel, M. (2016) BMC Genomics17:341, DOI: 10.1186/s12864-016-2468-x.